MASTER YOUR SLOW COOKER WITH EASY AND TASTY 100+ RICE RECIPES FOR YOU AND YOUR LOVED ONES! Slow cookers are widely used in kitchens across the globe and have various benefits ranging from super tasty food to numerous health advantages. 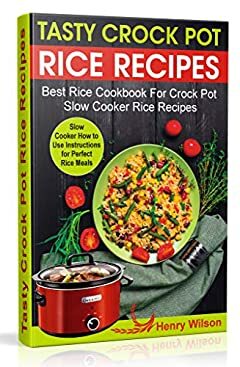 This book is your guide for rice cooking with a crockpot or a slow cooker. There are various recipes and guidelines for using your device. This book will offer you an understanding of how the crockpot or the slow cooker works, its different components, and how to use it in the most effective way possible.